Obviously, as a responsible pet owner, you like taking your dog out for regular walks. While doing so, you usually restrict his movements. Maybe to protect him from running to the road and other hazards. However, a big question remains, dog harness versus collar, which one should you use? Dog collars are great for holding your pet’s identification tags. However, they’re not the best for every situation. Here are six reasons why you should use a harness instead of a collar on your dog. Do not underestimate the behavior of your dog. Even though he may look calm and collected, your pup will always remain adventurous when outdoors. He won’t be able to resist diving on anything that looks unfamiliar. A calm and collected dog will all of a sudden become rowdy and uncontrollable. Although doing this is part of having fun, your pupster could easily land himself in hot water. A harness will give you better control when you are holding the leash verses the collar. It’s designed to ensure that it gets attached to the whole body rather than just the neck. Therefore, each pull on the leash will trigger an immediate response. As for the dog collar, it will offer some level of resistance to the pull. However, it’s not recommended for walking your dog in busy bustling places with lots of people around. While outside walking your dog, you should be in full control! However, there are times when your dog will take charge of the walk (you know what I’m talking about). Your pooch continually pulls, and while doing so, it makes it look like it’s your dog talking you for walk. Constant pulling on the leash can make a fun walk turn into a nightmare real quick. A harness gives you full control of your dog’s movements. It achieves so by exerting an opposite force to your dog’s movement. Which means, that while your canine will be struggling to move to the left, the harness will redirect him to the right. While discouraging pulling, the harness will help to instill some simple discipline in your dog. He will know that he can’t get away quickly with what he wants. This is unlike the collar, which gives your dog freedom to pull whichever way he wants. The design of a dog collar leaves some room for escape. To keep your canine comfortable, it’s always advisable to leave some space between the collar and your dogs neck. Doing so will prevent your pet dog from hurting himself. However, this space can give your dog an opportunity to escape from his collar while on the leash. With dogs who have a smaller head than the thickness of their neck, they will easily find a way of removing the collar. 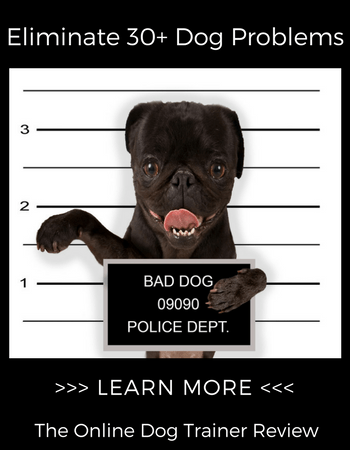 Resulting in an escape, which raises many safety concerns for your pup. On the other hand, harnesses are well fitted to your dog. They are attached to the dog’s chest, shoulders and frontal legs. In doing so, they leave no room for escape. Therefore, it’s almost impossible for your dog to get out of his harness. Which means, that harnesses are more secure than dog collars. While wearing a collar, one of the things that you need to be concerned about is the strain that it will cause on your dog’s neck. Sometimes the strain can be too much and inflict some severe injuries. Sadly, most injuries caused by the strain of dog collars aren’t easily noticed. Therefore, you may discover much to late, when the damage is already done. Also, dogs can get very excited when out on the walk, making it difficult to notice if an injury has been caused by the collar. Puppies and some breeds of dogs such as Miniature Pinschers have delicate bones making them prone to injuries. Harnesses provide a safer alternative for controlling your dog. Unlike collars, harnesses distribute the strain on a more significant area. This reduces the total force that is distributed on your dog’s body. Minimal force means that your dog won’t suffer the effects of strain from using a dog collar. Apart from dog collars causing physical injuries, the strain on the neck can lead to several health issues. The most common ones are respiratory complications and anxiety. The extra pressure on the neck of your pup will have a direct impact on their breathing mechanism. It could affect your canine’s windpipe, which can lead to breathing difficulties. A collar can have damaging effects on dogs with a pre-existing respiratory complication such as Tracheal Collapse. A weak trachea characterizes this condition. Also, the continuous use of dog collars might make your dog anxious. 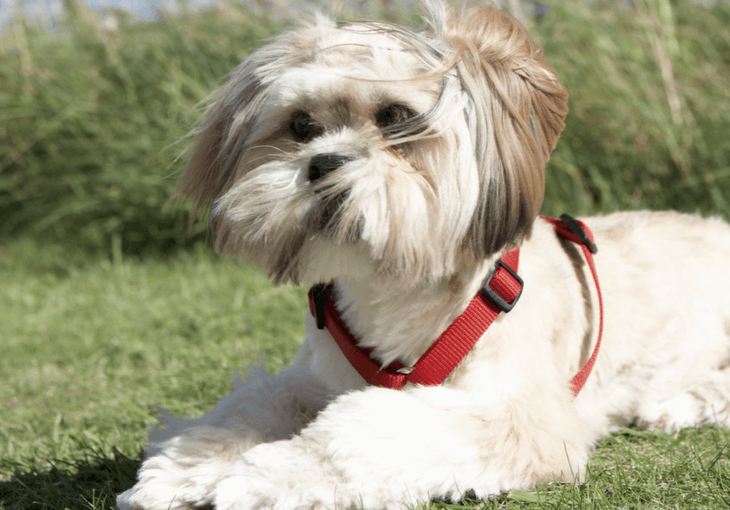 Different types of dog harnesses are designed to exert minimal pressure on the neck. While doing so, they ensure that the breathing system is not affected. Ensure that you choose the right size harness for your dog. Another consideration for dealing with restlessness or anxiety in your canine, is using essential oils or CBD products for your dog. Ocular proptosis is a health condition in which a dog’s eyeballs protrude out of their sockets. Just take a look into your dog's eyes and you can quickly tell whether your canine has this condition or not. Therefore, you’ll need to be concerned if they seem to be bulging out of the eyelids. This condition can be caused by the use of a collar, especially when it exerts some pressure around the neck. Some breeds such as the Shih Tzu and Lhasa Apso have shallow orbits. Any little strain on the neck can quickly make their eyes to pop out. The six points given on dog harness versus collar give clear reasons why you should use a harness instead of a collar. Both you and your pet will derive the full benefits of using a harness. However, you should still get the right size of the harness. Also, choose a design that resonates well with your dog’s personality and behavior.